My friend Cara from Raising Kinley is the Queen of Photo Paper Art. I want to spend this whole introduction raving like a lunatic about how awesome and enthusiastic Cara is. You can read more about Cara in her Oh Creative Lady interview. And once you are done here, I urge you to run – don’t walk!- and follow her and Kinley on alla the socials! 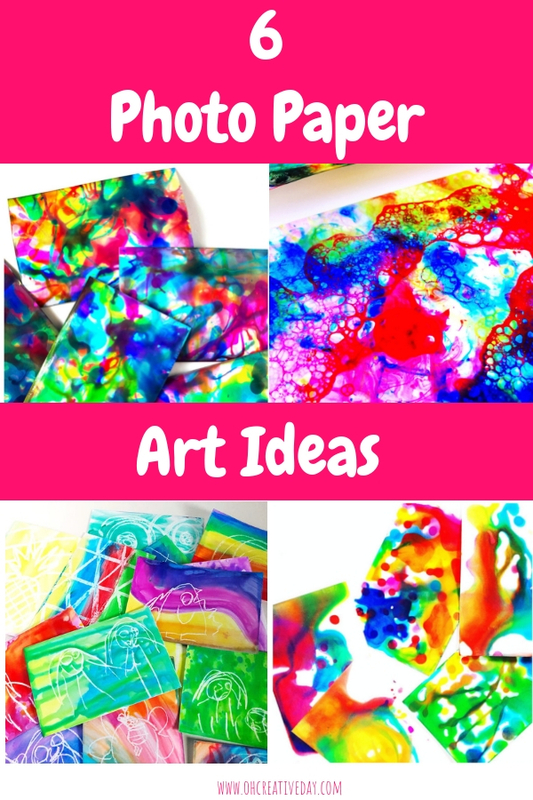 Here are 6 of Cara and Kinley’s fave photo paper art ideas. There are another 6 ideas over on their site. 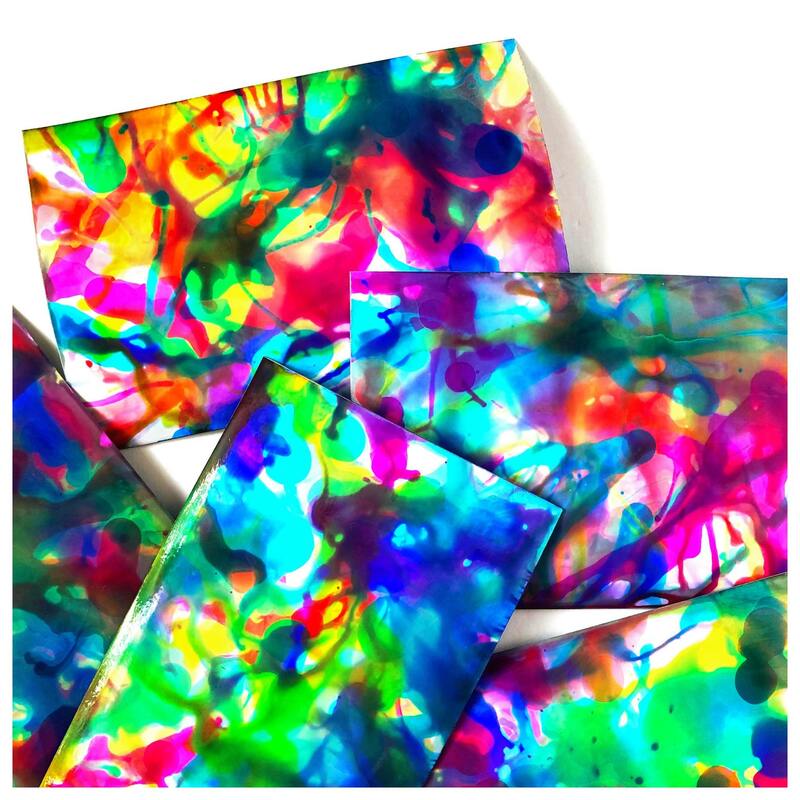 Do you have an old pack of photo paper sitting in a forgotten spot somewhere in your house? Maybe it came free with your old printer or maybe your friend handed some down to you in a box of art odds n’ ends? Well if you do, you’ve been sitting on a creative goldmine, friend! Go dig it out, dust it off and break out the watercolors because hours of gorgeous fun are in your future. Photo paper + watercolors have become my absolute art obsession and the combo that I am kinda-sorta-instafamous for. It all started when I spotted a simple but magical photo paper post by the fabulous ladies of @make_art_school while doing my usual absent-minded scroll through the ol’ Instagram feed. Their stunning piece of tiny human art stopped my quick thumb dead in its tracks & instantly inspired my smock clean off. Kinley and I have tried approximately half a bazillion different photo paper art-making methods since that day and we are still 100% obsessed. 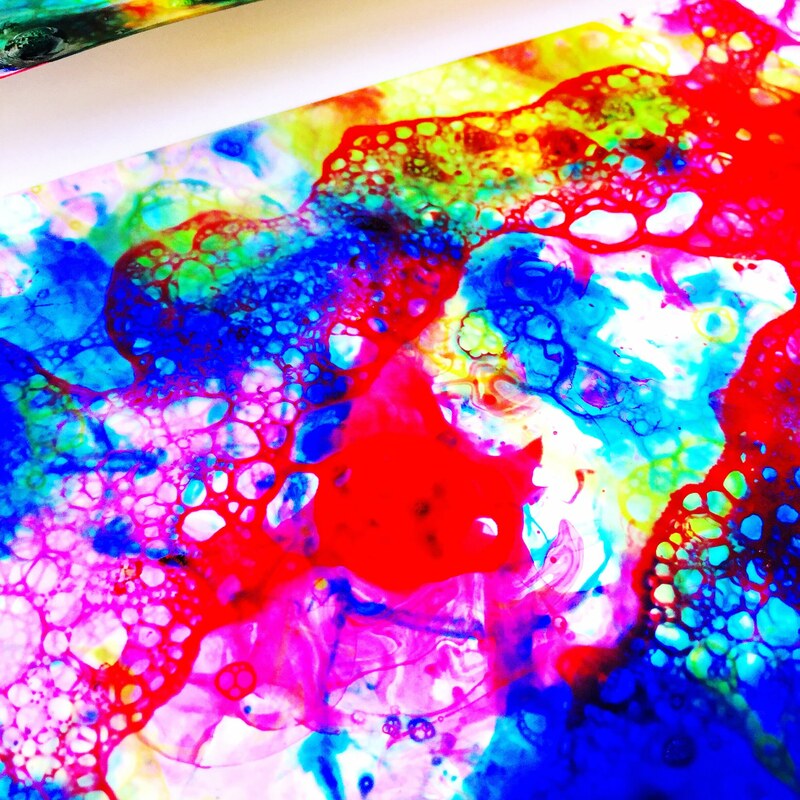 Liquid watercolors are vibrant and amazing on any canvas, but on photo paper they are next level. ounds too good to be true, right? Just wait! You are gonna be hooked, too, guaran-dang-teed. Ready to get your own smock knocked off? 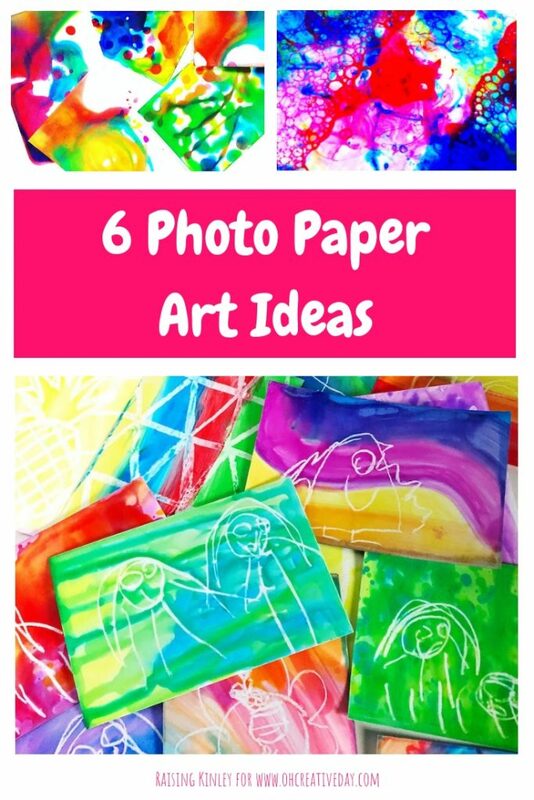 Here are my top six favorite photo paper art ideas. 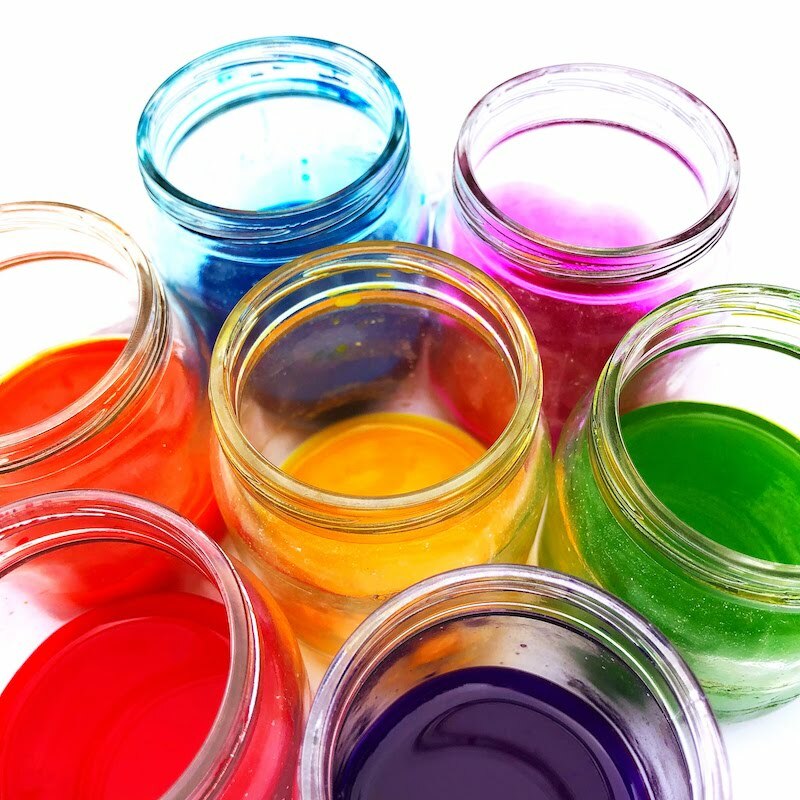 We’ve used homemade liquid watercolors (click here for our homemade recipe) and both Blick and Colorations brand. Whatever you’ve got will be perfect! Now, I should warn you that all photo paper is not created equal. The dollar store photo paper will work for experimenting and getting your process art on, but if you want your artwork to be as vibrant as the stuff you are about to scroll through, you’ll probably wanna shell out a little more (we love the HP and Canon brands) and make sure it’s glossy. Trust me. 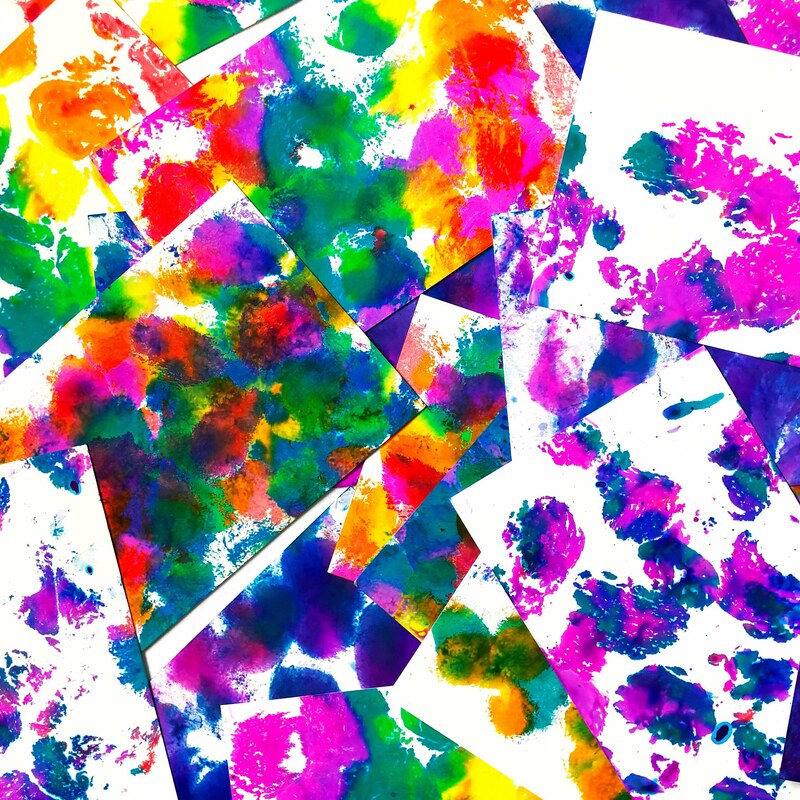 Besides being incredibly rad, photo paper art is always guaranteed to be messy! This is the OG photo paper art method and the simplest of them all. 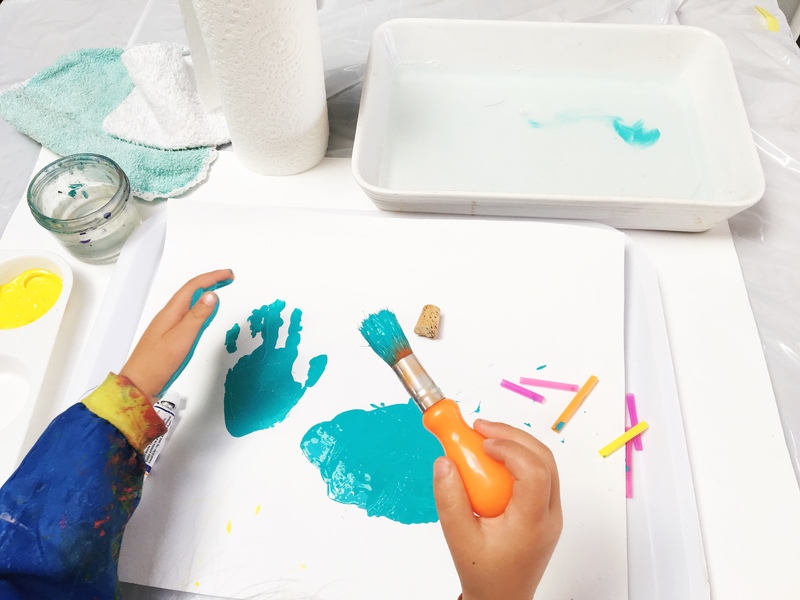 Use your pipettes to squirt watercolors in drops and puddles and lines however you want all over the place. Totally random and totally awesome! Put a handful of cotton balls on your art tray bunched up together. Squirt watercolors all over them however you would like. 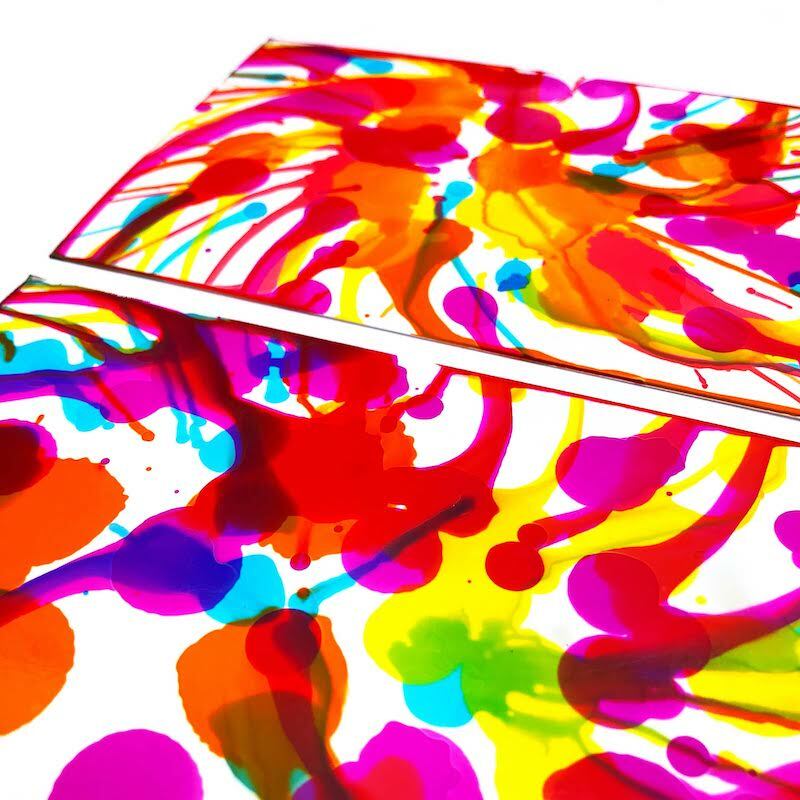 Press the glossy side of the photo paper on the color-soaked cotton balls and lift a print. 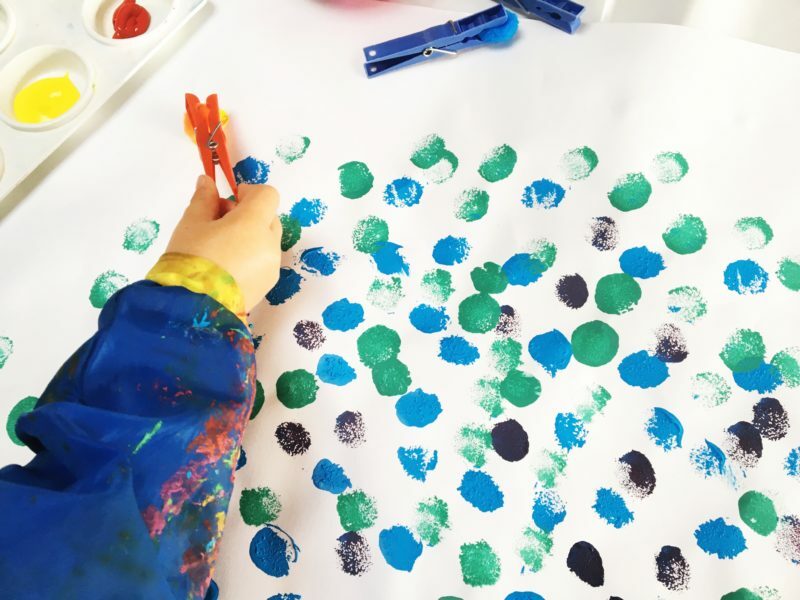 You can pick up those pretty cotton balls and use them as dot-stampers on your photo paper, too, as long as you don’t mind rainbowy fingers. Fill your cup about halfway up with water and squirt a few drops of dish soap on top. Stir the soap and water up a little with your straw and then blow until you’ve got a nice mound of bubbles popping up over the rim of your cup. Quick plop a piece of photo paper on top of the colored bubbles and lift up. Gorgeous, right? Blow more bubbles and repeat the process until your bubble art is just how you want it to be. 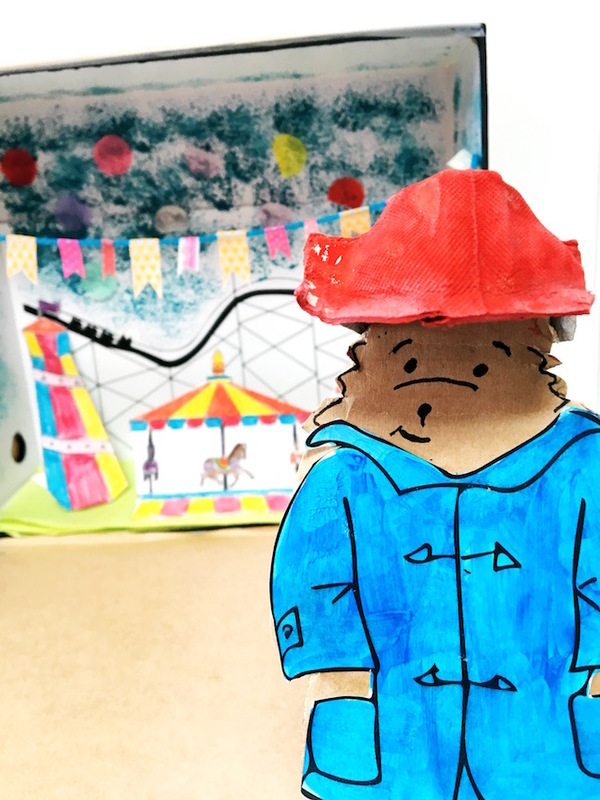 Draw a picture directly on the glossy side of the photo paper using your oil pastels. Use your paintbrush to apply liquid watercolors over the top of your drawing. Kinley and I love to draw secret pictures in white oil pastel and then switch papers so we can surprise each other with our artwork. Rainbow is gorgeous, but neon oil pastels and black watercolors are crazy beautiful too! Drinking straw, cut into thirds. Shorter straws are easier to blow paint with. 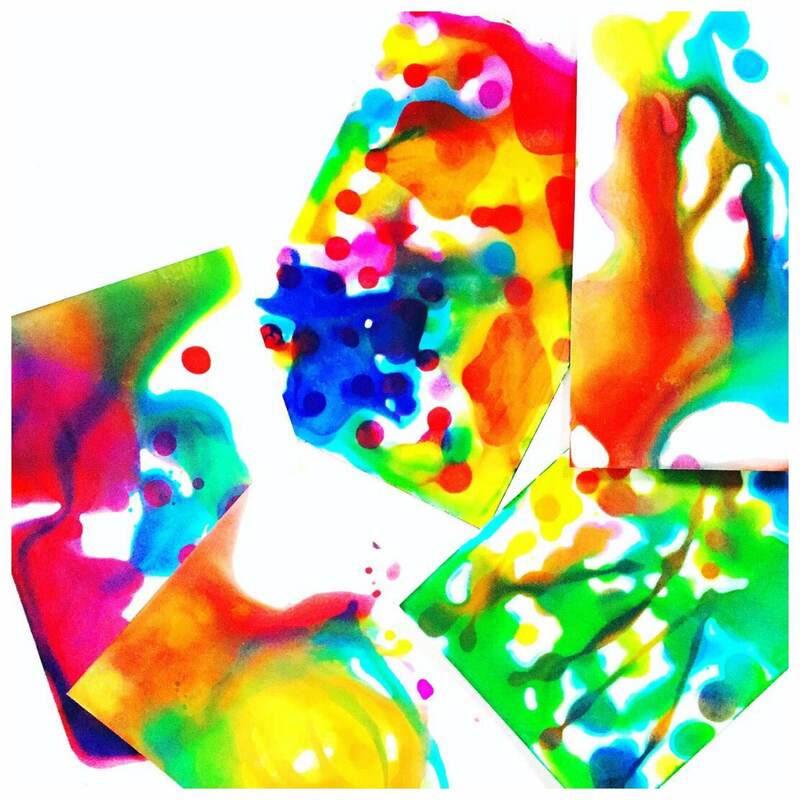 Use your pipettes to squirt a few small drops of watercolors around your photo paper. Repeat again and again until you are happy with your art …or until you are completely out of breath and a little light-headed, whichever comes first. This is a great one for when you need a little peace and quiet! It’s hard to be loud when you’re blowing through a straw. Also bonus point for adding googly eyes and sharpie smiles like these guys! Stick the paper to the bottom of the spinner basket and set the basket on a tray. Squirt on a few drops or squirts of watercolors. Don’t be afraid to experiment. There’s no wrong way to make spin art! Pop the lid on the salad spinner and give it a spin. Open it up and gasp in wonder as you behold your amazing masterpiece! Then add some more drops and keep going ‘til it’s perfect. 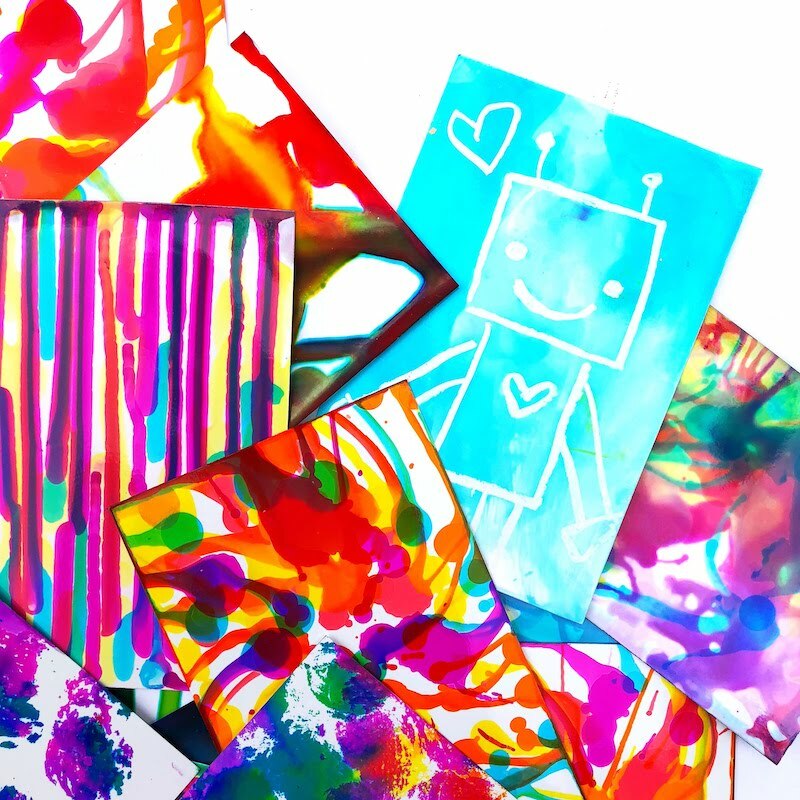 If you give any of these photo paper art ideas a try, be sure to tag Shannon @ohcreativeday and I @raising.kinley on social media. 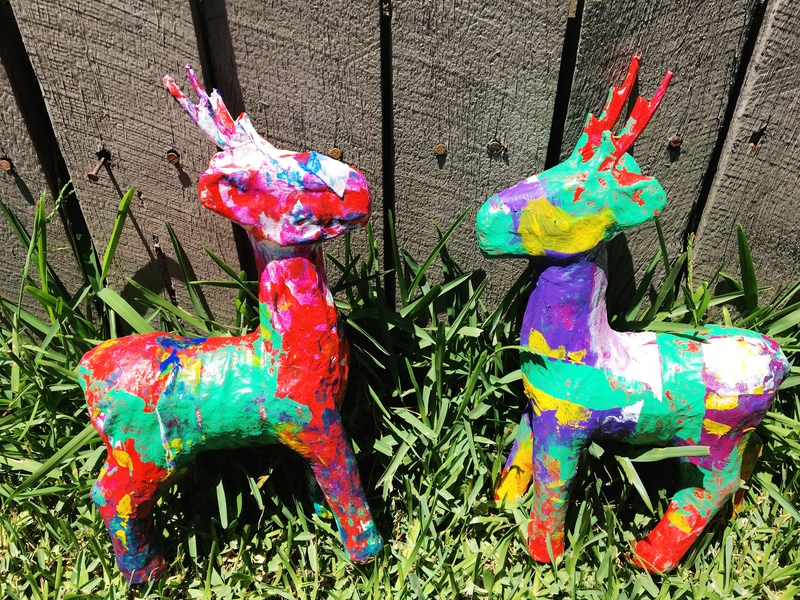 We would LOVE to see your creations! 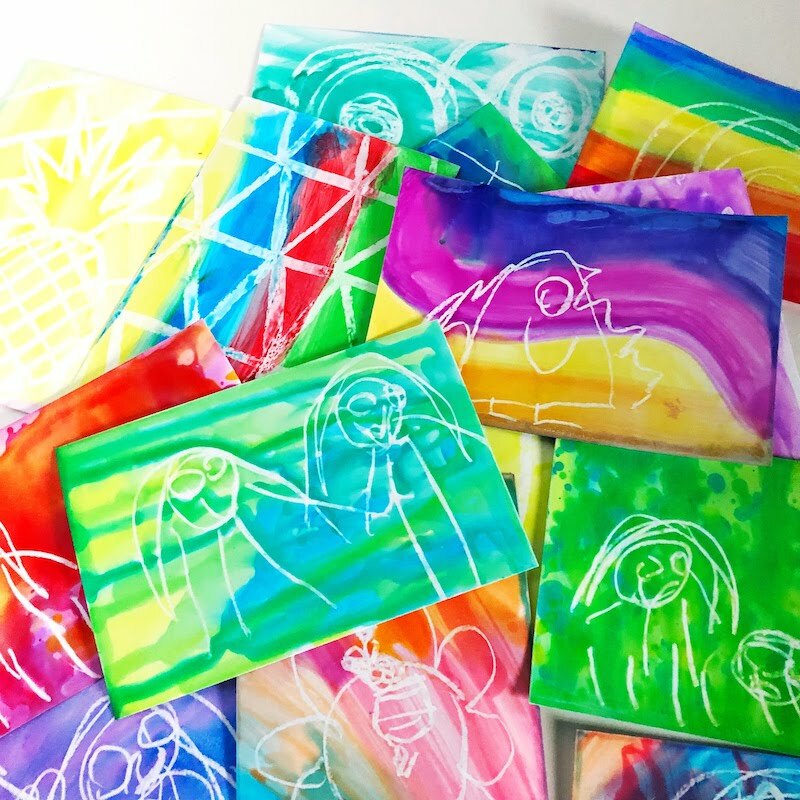 And if you are interested in even more ways to get your photo paper art on, hop on over to to Raising Kinley for six EXTRA tried-and-true rainbowy ideas.